Why is efficient conversion between heat and electric energy so important? 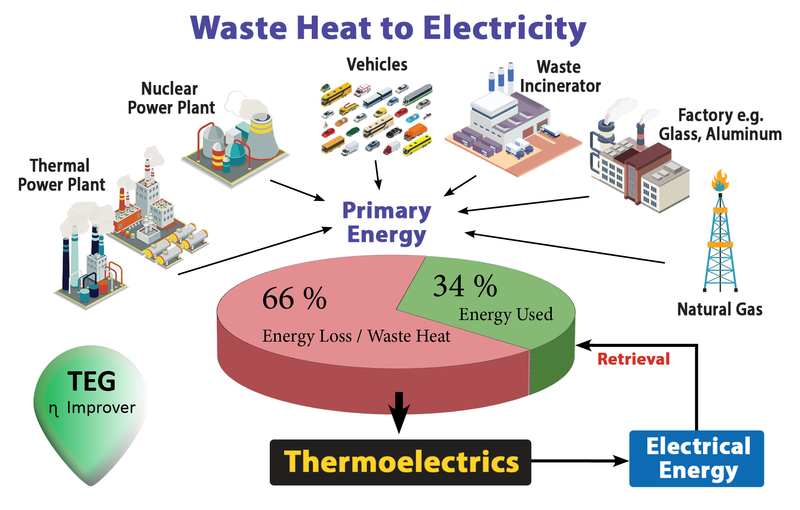 Statistical data show that more than 60% of the energy produced by fossil fuels burning or by fission nuclear power plants is lost, most in the form of waste heat. High performance thermoelectric (TE) materials which can directly and reversibly convert heat to electrical energy have thus drawn growing attentions of governments and research institutes in the last decades. There is a huge quantity of thermal energy to recover all over the world! Not to mention the clean heat Earth receives from the sun, every day. Thermoelectric systems are an environment-friendly energy conversion technology having the advantages of small size,adaptable shape, high reliability, no pollutants and feasibility in a wide temperature range. The only big weak point of the currently available TEC technologies is efficiency, which is not high enough to rival the Carnot cycle mean performances. The effective efficiency of the best TEGs (TE Generators) based on the Seebek effect, currently available, in fact, doesn’t exceed 5-6%. Moreover, also the cost/watt is still too high. 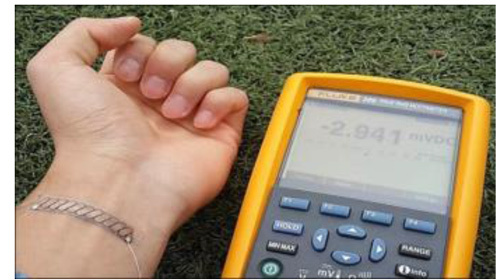 At the moment the thermoelectric conversion efficiency is low due to the low performance of thermoelectric materials. The ecological benefits to the planet and the potential market of a new TEC technology offering high efficiency at affordable costs, are simply impressive. What is the solution proposed by Prometeon? Prometeon is developing an innovative TEC technology jointly with a Russian scientist who has been working on it for over fifteen years at the Southern Federal University of Rostov (RU). It is an indisputable scientific fact, theorized two centuries ago by famous physicists like Maxwell, Boltzmann, Clausius and others, that at the molecular level a large amount of kinetic energy is available, related to the absolute temperature (kinetic theory of matter). At the technological level, however, it was not yet found a way to align this energy so that it can be converted efficiently into electrical energy for practical use, despite many experiments have already demonstrated this is possible. 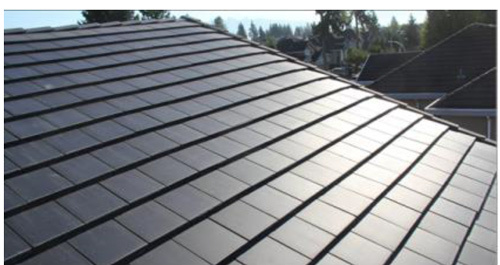 The TEC-Chip is a micro cell continuously converting thermal (kinetic) to electric energy that delivers a usable energy output; the Tec-CHIP literally harnesses existing inherent molecular energy and converts it into continuous, carbon-free, clean electric energy. 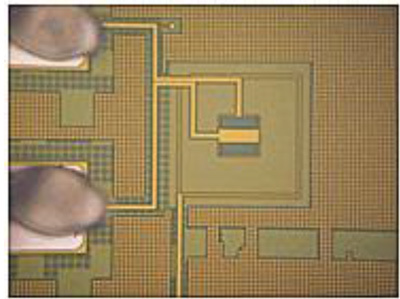 These cells/“chips,” which will be manufactured with methods similar to semiconductor fabrication. 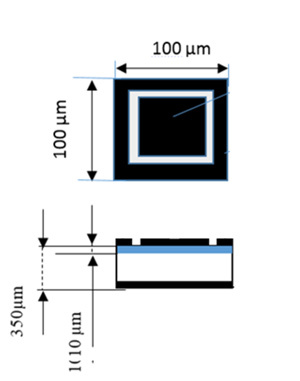 Each TEC-Chip will deliver usable power through small packages measuring 100µm * 100µm each. Arrays of TEC-chips will be able to convert available heat and provide electric power to the grid or directly to nearly any imaginable device: portable devices, refrigerators, hybrid and electric vehicles, air conditioning systems, computers, household appliances,… Due to their sourcing of power from continuous molecular motion, the exceptional aspect of these cells is providing power continuously by transducing thermal energy into electricity from any surrounding source. The resulting products will enable constant cooling or electric energy to be available anywhere at affordable cost. The TEC-Chip technology is based on sound scientific principles and was made possible by the advent of microelectronics and nanotechnologies. Figure: picture of one of the microcells tested. a) The TEC cell has been completely designed and the materials defined. 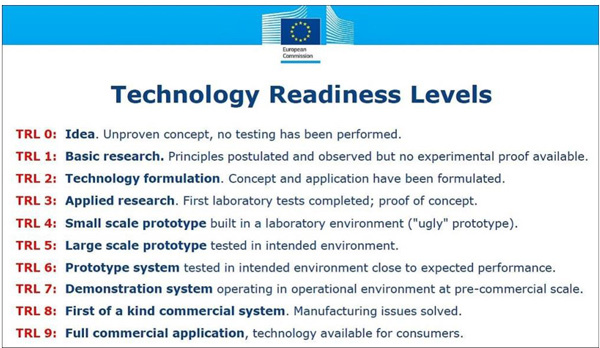 b) Some rough samples having a slightly different structure and materials from that of the original TEC-Chip design have been manufactured in Italy and have been successfully tested in a laboratory at the University of Rostov (Ru). c) During the tests, the TEC-cells have been heated and have delivered a significant amount of electric power (Signed report available), demostrating the validity of the theoretical model. TEC-Chip based electric generators can also be applied to recover waste heat from industrial processes, fossil fuels engines, nuclear power plants and to produce electricity exploiting heat generators of any kind. Moreover any surface exposed to the sun light may become a source of usable electricity (roofs, PV fields, streets pavements, buildings walls,..). Next steps (Starting form TRL 3, already achieved). 1. Manufacturing of several different prototypes of the base cell of the TEC-Chip and their performance check (TRL 4). The detailed design of the TEC-cells has already been concluded. 2. Improvement of the thermo-electric performance of the micro structures of the base cell and development of laboratory prototypes of both cooling elements and thermoelectric generators (TRL 5). b) different kinds of Thermo-electric Generators and Cooling devices (e.g. Air conditioning systems) based on the TEC-Chip technology.